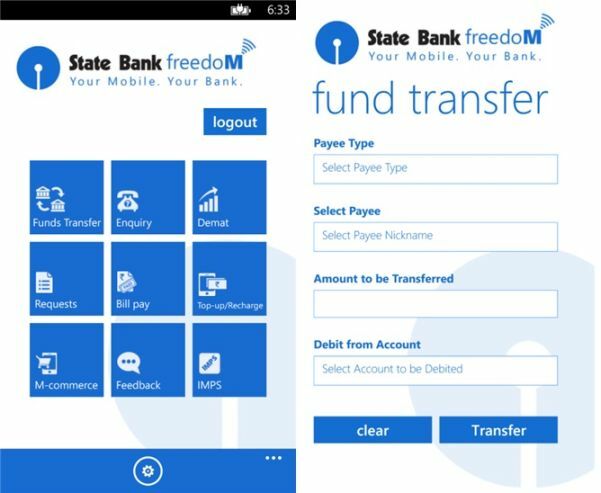 State Bank of India is the largest government sector bank has launched its official State Bank Freedom mobile banking App for Windows Phone devices. The app is already available for Android and iOS devices now they released the Windows phone version. The app allows you to access your bank account, check the balance, transfer your funds, pay bills online, book train tickets, make top-ups and more. • Transfer funds within SBI or other Bank’s account. To use this app, you have to register for mobile banking and getting your User ID and default MPIN. You can activate and complete your mobile banking registration through your ATM card or visiting your SBI home branch. You can get detailed registration information at app downloading site. The app is available free and works with Windows Phone 7.5 and Windows Phone 8 devices. Thanks for sharing such nice in formation on state bank of india with us.